I remember how we walked through a stand of eucalypt trees to the ground at which we played. It was 2014 and for the second year I was playing in my son’s football (soccer) team. He was 25 and I was 54. We would park Jack’s old car in a quiet street and then walk through the trees on the edge of park next to our home field. We would walk slowly and deliberately, mostly in silence, perhaps a comment now and then about the game ahead. I never told him at the time the quiet joy this time with him gave me. Or the pride and pleasure I experienced as I watched Jack warm up, strong and confident in his movements, going through the rituals of preparation. The putting on of the uniform, the shorts, boots, socks and shin pads and finally and most importantly, the shirt. The easy conversation with team mates, the brief talk of tactics, then to the field for some passing and practice shots. Underneath this the tension that exists before any competitive game, regardless of the level played. But deeper still was the simple joy of playing the game he loved with his friends. 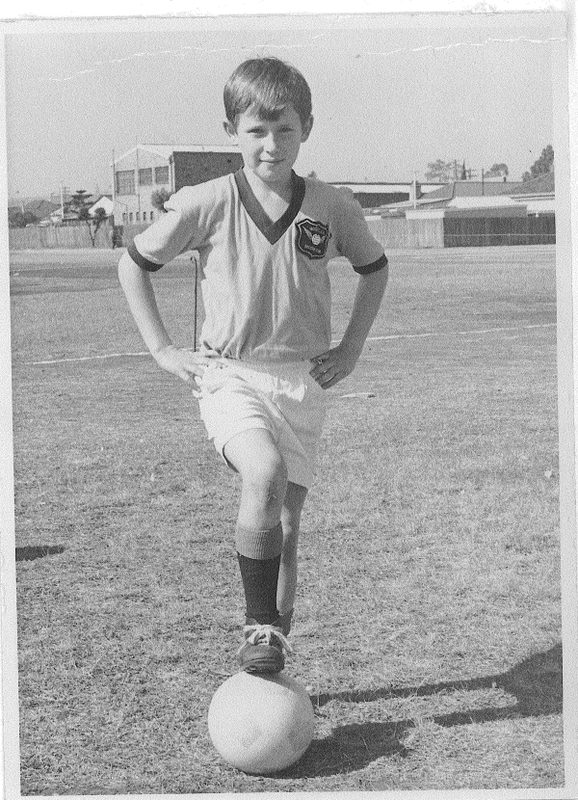 A close friend and team mate once said of Jack, that he was happiest with a ball at his feet. In June the football World Cup will be played in Russia and the Australian football team has qualified. They will take their place among the other 32 teams in the finals after an arduous two and a half year campaign. Despite both of us playing and loving football, Jack and I will not watch the games together. He will not agonise or exalt over the performance of the Australian team. He will not be troubled about their prospects of making the second round. The reason for this is that on July 17, 2014 Jack was a passenger on Malaysian Airlines Flight MH 17. Jack and the other 297 passengers and crew on board were killed when the plane was shot down over eastern Ukraine. MH 17 was shot down, all the credible evidence indicates, by a Russian built Buk missile, fired from a mobile artillery unit under the command of the Russian army. For our family there is a bitter irony to this World Cup. The shooting down of MH 17 has shattered our world. While we go on, our lives are different now. We live with the emptiness of Jack being absent from our life together, the hollowness that every grieving parent knows. We live with many questions. Some are personal, Who are we now? What is the point of going on? Some are spiritual, “Why does God allow so much suffering?” and “Is there any future for the human race?” And the question that every bereaved parent asks, whether believer, agnostic or atheist, “Will I see my child again?” We wonder why our daughter is sentenced to no longer having her brother in her life. When she marries he will not be present. When we grow old and die, she will be alone, with no other sibling to share the load and provide support. How do we respond to the violence that has snatched Jack’s life away and all those on MH17, including 80 children? This conflict has claimed many more lives on the ground –reports say more than 10, 000 have died in eastern Ukraine, most of them civilians. I am also a Christian like John Mosey. But I am not yet at the point that he was eventually able to reach. I struggle with thoughts of revenge, though I can do nothing with them. What does Jesus’ message about loving even those who cause you harm, mean to me now in the face of this overwhelming loss? It is more than a concept now. It is a piercing question. It does not help when our leaders tell us we are enemies – that we are so different. Are we really that different? On Sunday March 25, 2018 the people of the Siberian city of Kemerovo were devastated, and all Russia shocked, by a fire in the Winter Cherry shopping mall. Reports stated that more than 60 people were killed in this tragedy, most of them children. I read reports of heart wrenching phone conversations between parents and their children trapped in the cinema and unable to get out. I cannot imagine the horror and fear of those moments for the parents or the children. Despite that I believe if I ever met those parents we would already have a basis for understanding each other. We would each share the love of our children and the disbelief at what happened to them. We would each know the pain of living with unbearable loss and unanswerable questions. We could appreciate each other’s deep anger and urgent desire that the truth of what happened be fully told and not distorted or concealed. Are even the crew who fired the missile that shot down MH17 so different from me? Did some of them have children? Did they kick a football with them when they were young, the way I did with Jack? Will they be watching the World Cup with them or go with them to some of the games? All these thoughts and questions churn in my mind as the World Cup in Russia approaches. This event, which I imagine will be a source of great enjoyment and pride to many Russian people, is now bittersweet for us. 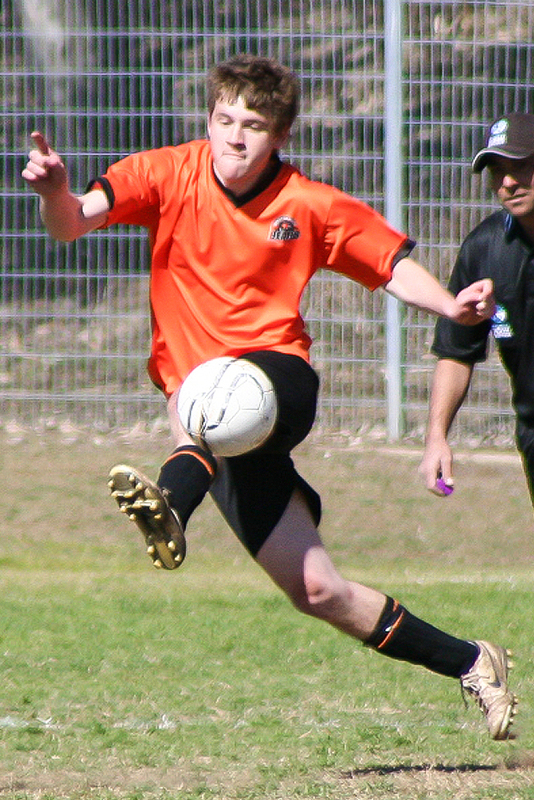 I would say my biggest passion is soccer. I have played since I was 7 and will continue to till I’m 70. I have a great bunch of team mates I have played with twice a week for the last 6 seasons…. He was overjoyed, as so many Australians were, when the national team finally returned to the world stage in the 2006 World Cup, after a gap of 32 years. In 2014, he was travelling in Europe, but made sure he was able to watch the games along the way. On that trip he went to Iceland, England, Spain, France and the Netherlands. He also visited Russia, travelling to Moscow and St Petersburg. For Jack and I the prospect of watching the World Cup finals was something we looked forward to months before the event. Now everything is different. When the Australian team had to play a sudden death play-off to qualify for this year’s World Cup, I wondered if I wanted them to make it. How could I watch our team play in Russia, believing as I do, that its leaders are ultimately responsible for the death of my son and all those on board MH17? But to this my wife wisely replied “Jack would want them to make it”. So when the time comes, I will watch the games. I will earnestly hope that the Australian team plays well. All those who watch will wish the same for their own nation’s teams. While I will find the sight of Russia’s leaders preening themselves, galling and offensive, I sincerely hope that the tournament goes well and is a success for the Russian people. May all the matches be played in a good spirit that reflects the potential of football, the World Game, to be something that affirms our common humanity and respect for each other. But underneath all that I remain bewildered that Jack is not here to join us. This World Cup will be an especially painful reminder that our son, who we loved with all we have, is physically gone from our lives. We will never get used to that.